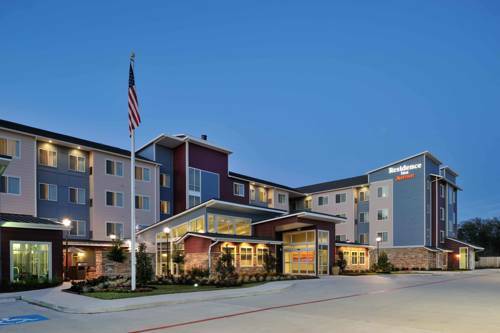 Residence Inn Houston Northwest/Cypress is the perfect blend between comfort and convenience. Our location, near Interstate 290 and North Cypress Medical Center, makes it easy for guests to visit Houston Premium Outlets. We are also conveniently located near Fairfield Town Center and Boardwalk at Townelake. Walk into our modern lobby and relax in a stylish atmosphere with ample space to socialize and gather. In the morning, fuel up before an adventure-filled day with our complimentary hot breakfast buffet. During downtime, hit our fitness center boasting cardio equipment, free weights and kettlebells for a full-body workout, then enjoy a refreshing dip in our indoor pool. Our spacious suites provide the ideal retreat after a long day, complete with fully equipped kitchens, complimentary Wi-Fi and ample workspaces to make you feel at home. Whether you're in town for a few days or several weeks, Residence Inn Houston Northwest/Cypress offers everything you need for a comfortable stay.